Rick and Morty set up Evil Morty with the fake eyepatch as a major player in season four, possibly extending to later seasons. Though only featured (to our knowledge) in two episodes, these two episodes spanned across two seasons and culminated in Evil Morty’s rise to serious power in the Citadel of Ricks. Evil Morty has already shown he is very dangerous, but there is reason to believe he is even more dangerous than he seems. Evil Morty and Rick C-137 (the main Rick of the series) both outsmarted The Citadel, but there is evidence that Evil Morty is smarter than Rick C-137. A lot smarter. In “Close Rick Counters of the Rick Kind,” Rick and Morty come across a fortress covered in hundreds of Morty’s being tortured. Rick explained that the Mortys’ brain waves, altered by pain, could hide a Rick’s intelligence even from the Citadel of Ricks. But he called it overkill, claiming her could accomplish the same result with five Mortys and a jumper cable. Rick seemed to assume that the evil Rick he searched for (which turned out to be a robot) would have the same intelligence he had. Rick C-137 had very little trouble outsmarting them all at the beginning of season three. Evil Morty, for his part, outsmarted the Citadel Ricks on two occasions and also outsmarted Rick C-137 with his decoy. If Evil Morty needed hundreds of tortured Mortys to disguise his intelligence while Rick C-137 only would have needed five, that would indicate Evil Morty’s intelligence dwarfs Rick’s. 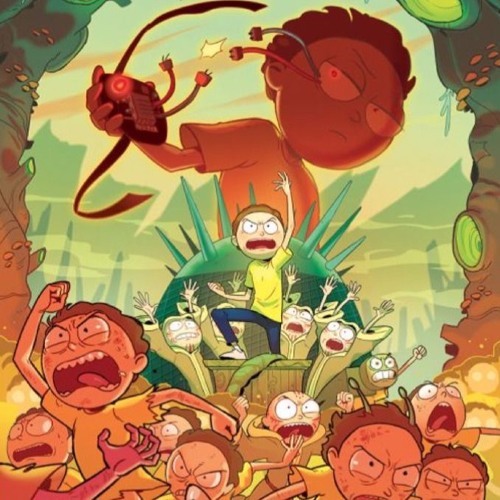 But there is another possibility: that Evil Morty gathered the surplus of Mortys to make it easier to hide amongst them when they were reclaimed by The Citadel of Ricks. Either way, Evil Morty has already demonstrated his ability to outsmart not only The Citadel of Ricks, but Rick C-137. To date, Evil Morty is the only villain in Rick and Morty who has outsmarted C-137. And he still hasn’t fully developed into a Rick. Next Are Rick’s Beth and Summer Dead?